Recently I was working with a professional services firm and the issue of wearing ties sparked some interest. 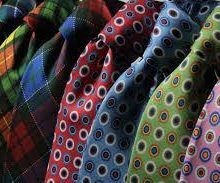 It was raised from a person in the team who preferred not to wear a tie, while his boss, did have a preference for wearing ties. It prompted me to do some informal research. I sat in a coffee shop in my home city of Perth, Western Australia. The coffee shop was on St Georges Terrace, the main street through the commercial district of Perth where there are hundreds and hundreds of different offices in the many high rise buildings. The coffee shop had an alfresco area next to the footpath and I just sat there at 9.30 in the morning which was a really busy time for the coffee shop. I counted every male who walked by, who was obviously an office worker as opposed to a tradie doing some building or similar work. The result was amazing. I stopped counting after about 15 minutes when 200 men had walked by. I simply counted how many were wearing a tie – the result – 3. So with such a dramatic result, I started asking clients and other business people on their perspective on wearing ties in today’s business world. Many said ties were old fashioned and not required. Some did not own a tie. Others said it was professional. Some – a very very small number – even said they would not do serious business with people who were not wearing a tie. The vast majority however, said it depended on the circumstance. There was no difference at all that I could see between the views of men or women as to whether men should wear ties. There was a noticeable difference in the views of the different age groups. Younger people were certainly less likely to wear ties or think that they should. Older people were fairly evenly split between tie and no tie. Most said that for certain occasions they would wear a tie such as an important meeting or if they were presenting to an audience but for the committed “no tie” people, the circumstance made no difference. They simply never wore a tie, period – some, even if specifically requested. Clothing generally has taken a hit lately, in the is article by Bloomberg, ( https://bloom.bg/2Gn3slC ) titled the Death of Clothing, there are saying that clothing has simply lost its appeal. Perhaps the tie question is a symptom of that? So, what do you think? To wear a tie or not to wear a tie. Charisma – You Either Have It Or You Don’t..Maybe Not.